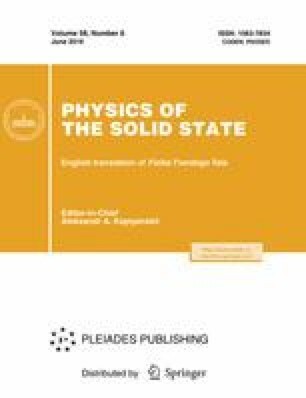 Excitation of volume and surface magnetostatic spin waves in ferrite garnet films by circularly polarized laser pulses utilizing to the inverse magnetooptical Faraday effect has been studied experimentally. The region of excitation of the magnetostatic spin waves is determined by the diameter of the laser beam (∼10 μm). At the same time, the characteristic propagation length of the modes is 30 μm. A method of finding the local characteristics of a magnetic film, in particular, the cubic and uniaxial anisotropy constants, based on the analysis of the azimuthal-angle dependence of the spectrum of the magnetostatic spin waves has been proposed. Original Russian Text © A.I. Chernov, M.A. Kozhaev, P.M. Vetoshko, D.V. Dodonov, A.R. Prokopov, A.G. Shumilov, A.N. Shaposhnikov, V.N. Berzhanskii, A.K. Zvezdin, V.I. Belotelov, 2016, published in Fizika Tverdogo Tela, 2016, Vol. 58, No. 6, pp. 1093–1098.